Proudly presenting one of the world's oldest triathlon series: the New England Triathlon Tour. 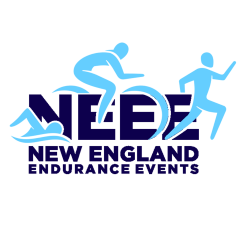 New England Endurance Events is located on Cape Cod, and is fully immersed in the Southeastern Massachusetts triathlon and running communities. Our management and staff are all current athletes, and we hold dearly to a mission to take the best we have seen in races around the region — and the nation — and bring those attributes to our events. 2017 was a big year for us, as we took over the reins of the 35-year-old New England Triathlon Tour, which (along with the Los Angeles Triathlon Series) is the oldest triathlon circuit in the nation. 2018 promises to be even bigger, as we add Olympic distance options to two of our races and have taken over the reins of the iconic Sea to Summit Triathlon, which begins in Maine’s coastal waters and ends atop Mount Washington in New Hampshire. We welcome your comments, feedback and please know we are truly appreciative of your participation in our events. We look forward to seeing you on the starting line in 2018! Kathleen Walker is a seasoned triathlete, a USA Triathlon certified race director and a Red Cross certified lifeguard. She has been active in triathlon event production since 2002 for races both on- and off-Cape. For the past four years she has been the director of two annual triathlons (Wellfleet Sprint Triathlon and Gut Check Triathlon) as well as two road running races — all located on Cape Cod. Last year she took over as director of the Falmouth Triathlon and the two Hyannis Triathlons. Kathleen is also Vice President of the Friends of the Cape Cod Rail Trail advocacy organization. A nationally ranked competitor in triathlon, aquabike and aquathlon at different distances, Andy Scherding has raced the Hyannis and Falmouth triathlons over 50 times. He was a member of the founding committee for the Southeastern Massachusetts Triathlon Club (now Baystate Triathlon Team) and co-founder of the Cape Cod Triathlon Team — where he served as director for seven years. He was a race committee member for the Cranberry Triathlon in its formative years, and currently serves on the race committee of the David Brazil Memorial Kids Triathlon. He is also founder and director of a six-race annual series of training triathlons held in Brewster for the Cape Cod triathlon community. Stephanie Goley has been competing in the sport of triathlon for over 15 years, starting when she lived in California. She has been a key component in the successful organization and production of all of NEEE’s multisport events for the past four years. Steph races throughout New England — sometimes in events where she has just completed the supervision of athlete registration! — and frequently with her son Kai. The two of them place quite well!